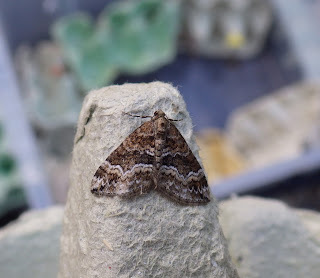 I`d planned to `trap out` somewhere last night but, as often happens, I ran out of time and was tired after a day`s slog, so out went the garden traps as a compromise. The usual `seasonal gang` were present this morning, though the contents were not without interest. Above: best of the bunch was this barred rivulet, a moth that occurs on nearby coastal grassland. 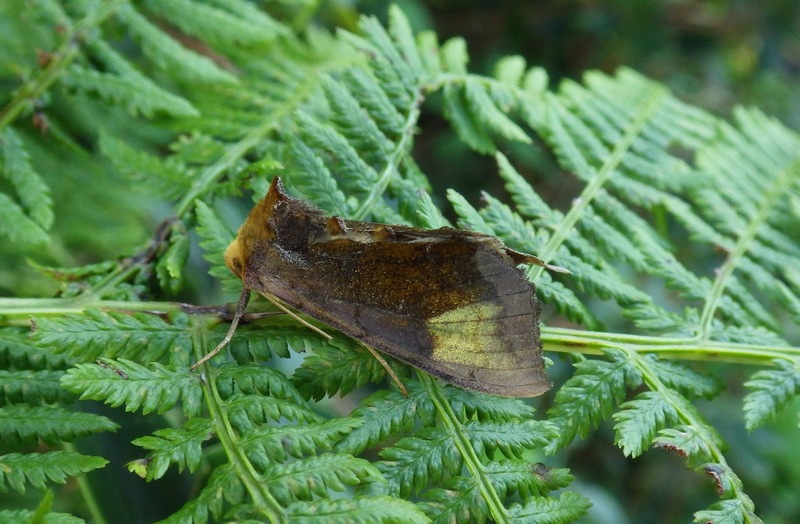 Above: scarce burnished brass, a scarce moth nationally - hence its vernacular name. I get it with reasonable frequency and its food-plant, hemp agrimony, grows in my garden. 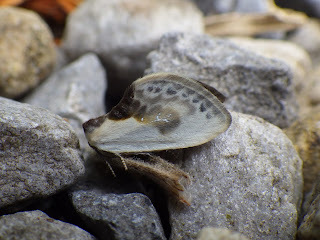 Above: I`ve never given any thought as to why this moth was called the Chinese character but if you look carefully at the grey, central area (click on pic to enlarge), you`ll see why. It is, of course, an effective bird dropping mimic. Very nice Ian. Would love to see the Chinese character, and its character! Some very nice finds indeed.